In this blog post, I’m going to be talking about planning your videos using a video brief. What I’m going to discuss in this post applies to YouTube videos, Instagram videos, Facebook videos and Facebook Livestreams, your email funnel videos. Video is the best way to connect with your audience on an emotional level, at scale. 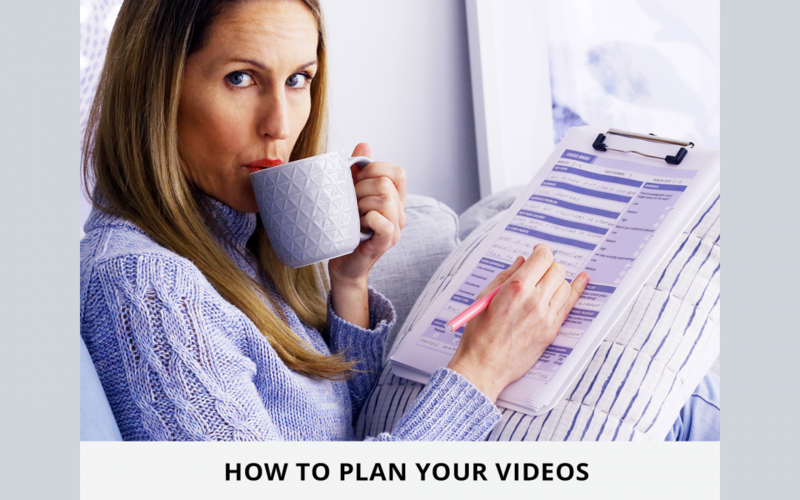 In this post, I am going to show you how to plan your videos for success. First of all, let me introduce you to a magical tool that can help you get super focused on the most important elements of creating a successful video… the Video Creative Brief… otherwise known as the Video Brief. What is a video creative brief? A document for a video project designed by the video creator or team that outlines the deliverables and scope of the project. This can include any products or works (function and aesthetics), timing and budget. Why do you need a Video Brief? There’s no denying that with anything in life, if you want to succeed, consistently, you need to plan. Video creation is no different. So let’s take a look at how I use a Video Brief to plan. The purpose of a Video Brief is to set your overall goals for your audience and to develop a plan to achieve them. At the same time, it involves stepping back, prior to jumping in to scripting and filming and asking what are the goals for your business. In turn, this will help you develop your priorities for the video content. I’m going to walk you through the Video Brief that I have created, and that I use to plan all of my videos. Before we get started, download the Video Brief Template and join me on my mailing list so you can follow along. Download the roadmap and join my mailing list to receive the latest news and updates. First you will want to note down your key video topic in your video brief. At the same time as determining your video topic, you also need to know WHO your audience for the video is. It’s also important to spend time identifying how knowledgeable they are, and their attitude towards the video topic. You can also consider whether or not they are currently implementing the initiative. This will help you determine what content you present, and from what angle. Using this approach should help you create video content that really connects with your viewers, and gives your audience a trans-formative experience. When developing a good video plan, you’ll be at a huge advantage if you have a deep understanding of the way your audience thinks about, and understands your video topic. Where is your viewer now? This involves understanding as much about your audience’s mindset and opinions on the topic as possible. Once you’ve selected your video topic, you can search in Facebook groups where your customers spend time. Look through your Social Media platform comments, your competitors Social Media channels and their blog comments. This is the audience’s problem. Eg. Unplanned videos lead to poor execution, wasted production time and low views or audience action. Why do they need this solved? Now think about the “after state” of your audience. After watching your video, what will they be able to achieve? How will they have changed? This is the audience’s solution. Explain the after state and WHY they need to get there. This establishes the goals for your audience. You need to help your audience understand WHY they should want to achieve these goals. As a result, this gives your audience a reason, or motivation to take action. 3-5 key points. List 3 – 5 points that summarize your vision, most valuable and actionable knowledge, techniques and goals on this topic. What changes do they need to make? In order to move from where they are, to where you want to take them, what do they need to do? What is the best way of implementing those changes? Are there any tools can you provide to help them achieve this goal? This step is the foundation for the body of your video script. Now that you are armed with this knowledge, you can decide the main approach for your video. Is it going to be informational? A commentary or review video? There are hundreds of video types you can choose from, but you need to choose which type you will create in the planning stage, as leaving this to the production stage will result in lost time. Next up, decide your business goals for this video. Will your video goal be thematic or tactical? A thematic video makes a general appeal to an emotions, or focusses on a brand theme to appeal to your audience. 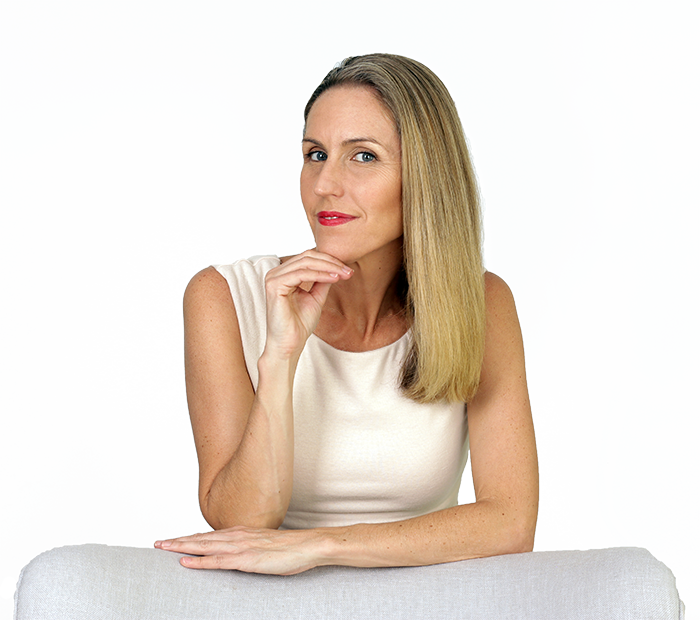 For example, you may create a vlog when on holiday in a tropical location, to show your audience the type of lifestyle you have as a result of running my own lifestyle business. This would be a thematic video. Consequently your audience (you hope), will feel something, and to connect those feelings to my brand. In contrast, if I were to create a video on a product about how to create a Video Brief, and in this video I show you how to use it and where you can download my free video brief template, then this would be a tactical video. Let’s assume the goal for a video you are creating is tactical. Let’s say your goal is to increase email list sign ups by 25% in the month ahead so that you have more qualified leads, to whom you can market to using email marketing. Your goal this month is focussed on conversions. How many people actually sign up to your email list. Last month you had 400 email list sign ups, generated from 4 tactical videos you published to YouTube. This month you want to increase this by 25%, so your KPI for email sign ups will be 500 for the month. Once you know what your KPI is, you will need to decide which metrics you will use to measure your success. Which this example, everything is pretty straight forward. You are tracking conversions – namely the number of subscribers to your email list. It’s important to track the ratio of video views to email sign ups for each individual video. This will help you understand which videos are working better than others. With further testing, by creating more videos of a similar nature, you can determine whether it’s the topic, video format, or something else that is the driving success factor. Something you will also need to consider is how you will achieve your goals. What tactics will you use to achieve success? You have set your goal to increase this by 25%. Tactically, this month, you could improve the success of each video in converting viewers to subscribers by focusing on bettering your message. Similarly, you could improve your video’s success in converting viewers to email sign ups by improve your call to action, or increase the quality of your content. Or you could use a combination of these tactics. Alternately, you could create an additional video of similar quality. Or you could combine all of these tactics. What is the Objective of your Video? What is the Video Call to Action (CTA)? Think about why you are creating the video. If it is a tactical video, what do you want your audience’s end action to be? To download a free document or tool? Do you want them to take up an offer? Or join you in a Facebook group? If it is a thematic video, what do you want the action to be? Thematic videos might not drive email list sign ups, but you will usually want the audience to take an action after the video. For example, you may point them to another video on your channel of a complementary theme or topic. Whatever your goals, above all, you want you videos to be driving growth for your business. You should never create a video that does not have a goal that works towards your ultimate business goals. When creating video content, it’s important to have a greater purpose that just producing that video. To help organise my content further, I use the content pillar approach to content marketing. This method involves creating one very big piece of content, and dividing the topics in this pillar content down to subtopics. I then take some of these subtopics and create videos that feed into that pillar content. Sometime the pillar content is free, and sometimes it requires the customer to pay to access it. If the video I am creating feeds into a pillar content piece, I note this in my video creative brief, or video brief. Next, you’ll want to make note of how this video fits into the broader context of your content landscape. In order to be successful in Content marketing, you need to be strategic. Each piece of content you create should belong to a Content Strand. Content strands are the common categories that you use to organise your content. You’ll likely have between 3 and 6 categories or strands under which you organise your content. So, for example, if you have an interior design brand it might be homes, gardens art, architecture and creative people. Your YouTube playlists may have the same names as your content strands, or they pay differ. Either way, note your stars and playlist to which the video belongs in your Video Brief. Finally, it’s time to choose your communication channel. What channel or platform you are using to communicate your message will also determine how you are creating your video. You may be using a mass communication channel such as Social Media or a blog, an interpersonal platform such as email, or Messenger. Or you may be using a group video format, such as Facebook Livestream. Note the platform down in your brief. I have not included a resources section in my video brief. The reason for this is that I generally have all the tools and resources I need on hand, and most of my videos take amount of time to create. On the odd occasion that I need additional props, equipment and funds, I’ll attach an additional resources page to the back of my video brief. If you are creating videos that regularly require additional time, finances, tools and equipment, then you might considering creating a video brief that includes a resources section. So that is how I plan my YouTube video, videos for Facebook and Instagram, Twitter, emails and sales funnels. Following this template for each and every one of my videos ensures I keep my audience goals and business goals at the front of my mind when creating videos. There is no right or wrong way to plan your YouTube videos, Facebook videos, or any of your marketing videos. One of the most important factors of success, however, is being clear in advance about the intention of your videos. Likewise, you need clarity on your audience’s current position and mindset in relation to your video topic. If you want to grab a copy of my video brief, enter your email address below to join my emails list and get your hands on a copy of the Video Brief. If you are on Instagram, tag me using @pruemadden if you are creating your own videos. Helping you to create content and build a lifestyle you love.